Blog Hoppin': Back to School Books Linky Party and Giveaway! It has officially started for me! School has begun! During the first few days (and weeks AND months) in kindergarten is spend some time dedicated to teaching classroom expectations. Sound familiar? 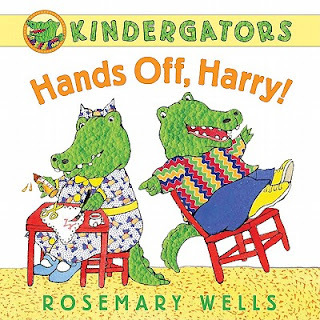 I found these adorable books by Rosemary Wells that seem to do the trick! 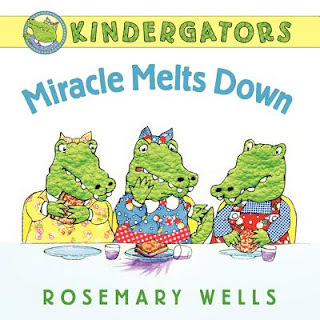 I don't have a student named Miracle this year, but I did we did experience a melt down. Click on the image to find the source. 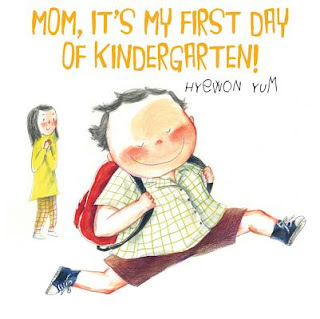 And this is a super cute book about a child's first day of kindergarten...is he worried?...NOPE, but his mom is not holding up so well. As a side note, I think I will write a book like this for me next year. I will call it, Mom, It's My First Day of College! That will be in the background!!! Click on the picture for the source. As you may have heard, my husband and I have started a new book website JUST for teachers. We have organized books by teaching strategies to help you find the perfect book. Additionally, teachers/bloggers can earn affiliate credit! 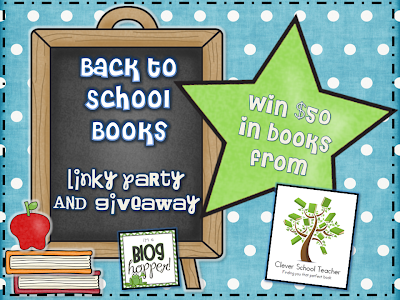 Winners will be randomly selected on Friday, August 31st!